I wanted to quickly show you this gorgeous vase transformation. My husband's grandmother gave me this vase many years ago and it's pretty much just been sitting on my shelf collecting dust. For Christmas last year - I filled it with sparkly balls and kind of left it. Then following on from my current jar painting obsession, I grabbed a paintbrush and actually painted the vase instead of swirling the paint around in it. Now - what if I wanted to display fresh flowers in my vase, I hear you ask? Looks great now, don't you think? I just love your vase and love the colour blue. Great job Nats! What a pretty color too! The beach embellished candles are making me want a trip to the beach...hmmm...it is a long weekend! I love both projects :)Looks great puts a smile on my face. I love it! 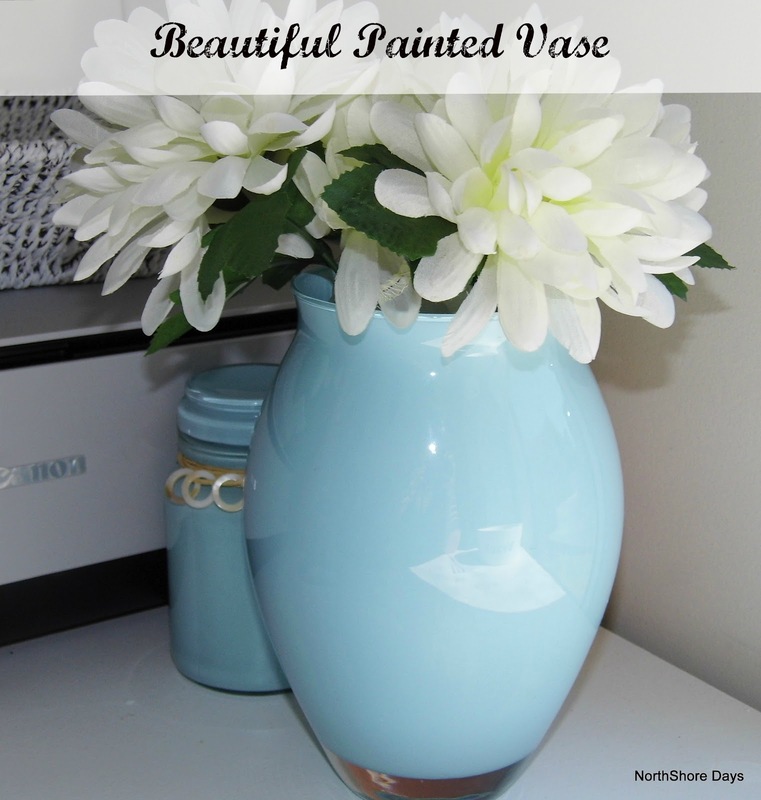 Great idea, I have tons of vases around here that could use a facelift! And I LOVE those candles!! This is such a great idea Natalie, a really clever way of updating glassware. I can see why it's become a bit of an obsession ! I love that color blue, Nat - it's so soft and pretty with the flowers. You did such a great job - I love your painted jars! The embellished candles are adorable! Hugs to you from OHIO!